'Tis Saturday - and when I woke up this AM, I had an idea for a card - so I jumped right to it, before it left my creative mind. So I started out with my Lawn Fawn set You've Got Mail. I hadn't used this set since buying it - and it was crying out to get inked!! :o) So I stamped out the mail box, and some of the envelopes, and did some Copic coloring. I added the smallest heart from Plus One, and then cut all my images out. I used a portion of the woodgrain paper from My Mind's Eye - On The Bright Side. I popped up my mailbox with dimensional adhesive, and then added my envelopes. 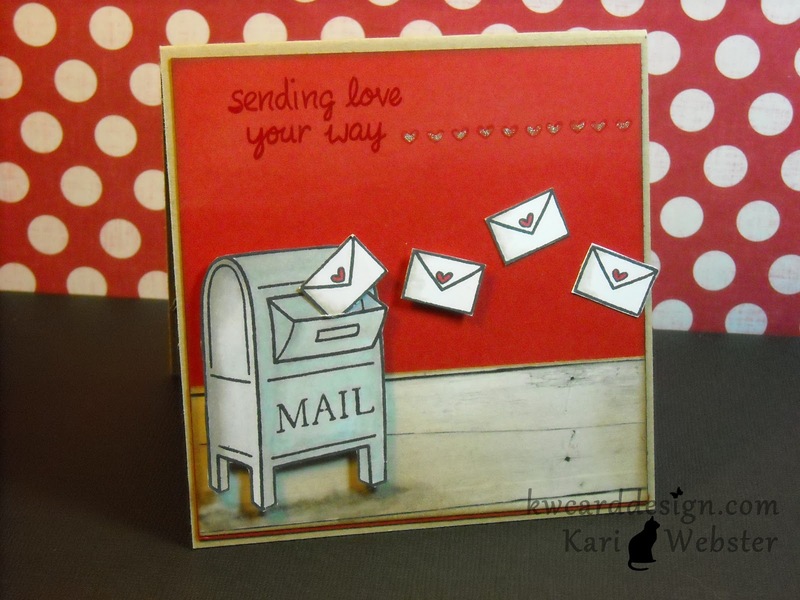 My sentiment comes from the same set from Lawn Fawn - and I embossed it with SCENTED cherry embossing powder from Stampin' Up!! YES - Scented!!! How cool is that!!??!! 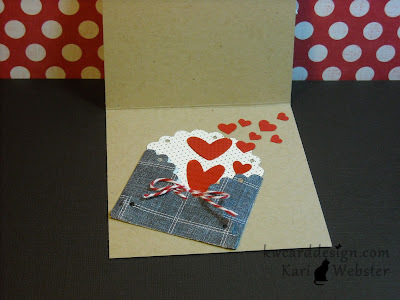 On the side on my card - I die cut a scalloped envelope from this Sizzix Die. 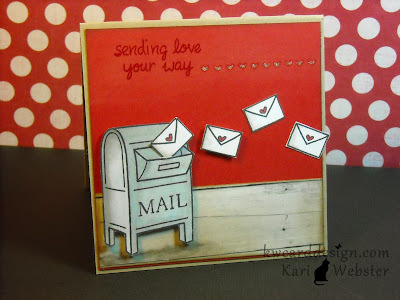 I punched out some hearts from both my Stampin' Up heart to heart punch, and Martha Stewart cluster heart punch ( not sure what its actually called). 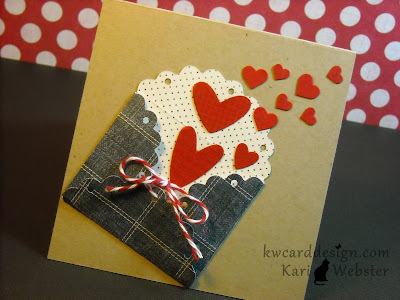 The envelope is die cut from the same paper pack from MME. I added some bakers twine, and called it done!